P E O P L E P O I N T S: Public library revitalisation in India: Ajit K. Pyati. Public library revitalisation in India: Ajit K. Pyati. "With India’s growing economy and status as an emerging world power, a new consciousness is developing in the country about the need to reinvest in public services. The National Knowledge Commission (NKC) is an advisory body constituted by the Prime Minister to provide recommendations for improving India’s knowledge infrastructure. 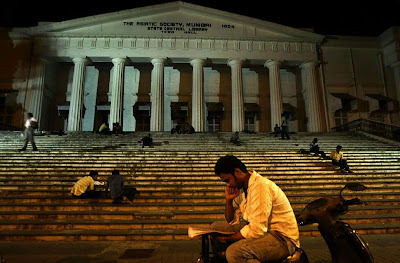 As part of this Commission, a set of recommendations has been developed to improve India’s long neglected library system. This article explores the implications of these recommendations, with a specific focus on India’s public library system and the social development gains that are often associated with public libraries. The potential of India’s public libraries to serve as community information centres (CICs) is highlighted, as well as the challenges that lie ahead in implementing a new vision for public library revitalization. The article serves as an invitation for concerted action, reflection, and dialogue with regard to this important and pressing issue."